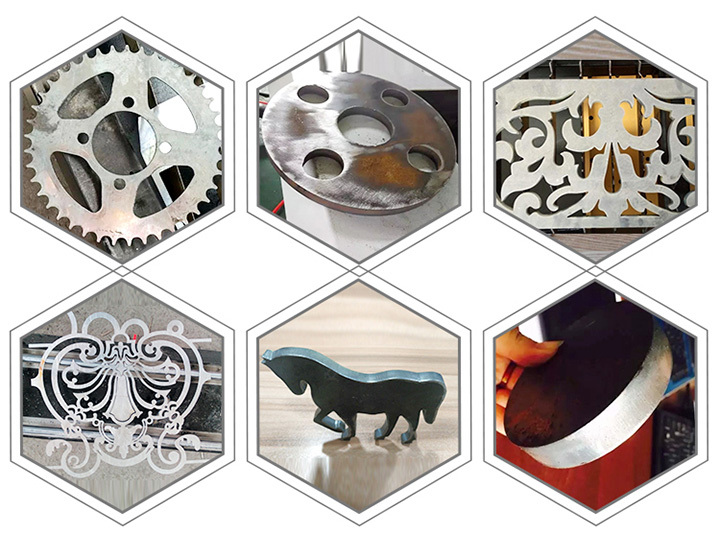 Heavy duty gantry plasma cutting machine is designed for metal plate cutting, heavy duty gantry plasma cutting machine with big size can cut mild steel with flame cutting and cut high carbon steel, satinless steel, alunimum, copper and other non-ferrous metal with plasma cutting. 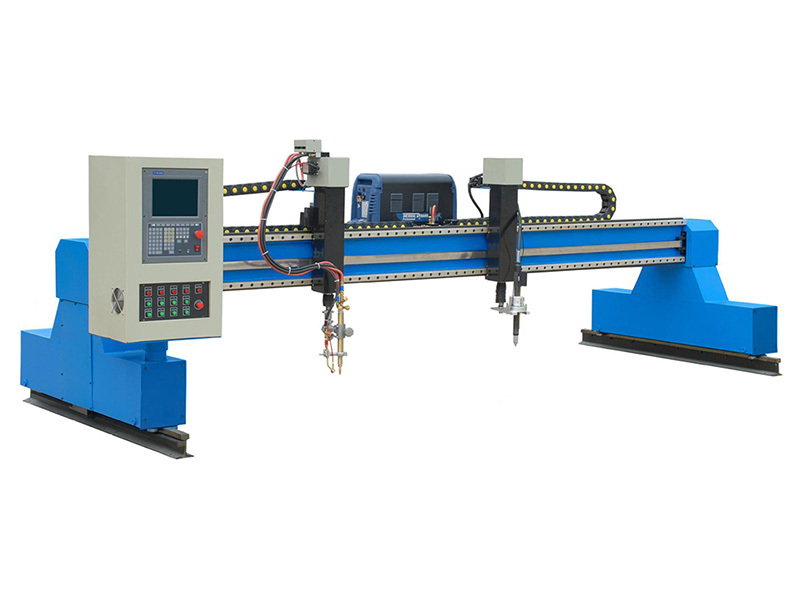 Heavy duty gantry Plasma cutting machine is specially designed for metal plate cutting, it is characterized of high automation and efficiency,easy operation and long service time. 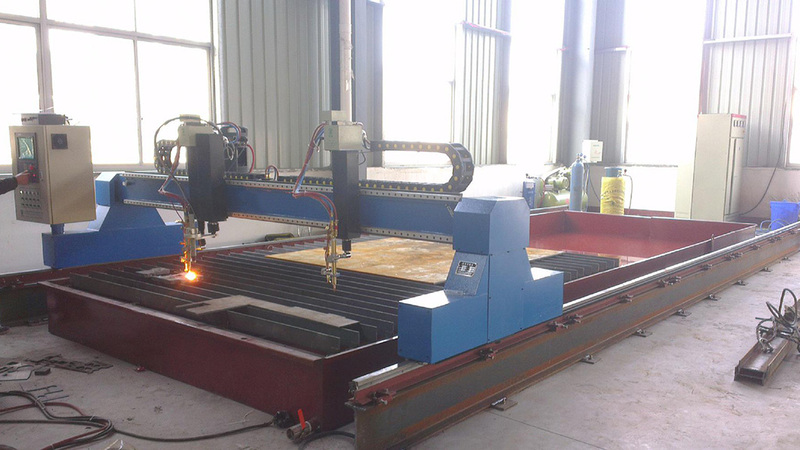 This plasma cutting machine is gantry structure with double-driven system, working size can be customized upon requirement.It can be used for cutting carbon steel, stainless steel and non-ferrous metal in any 2D graphics,gantry plasma cutting machine is widely used in metal cutting fields. 1. Steel hollow beam design ensures good heat dissipation without deformation. 2. The gear-rack driving motions without engagement gap ensure the machine running smooth at high speed. 3. 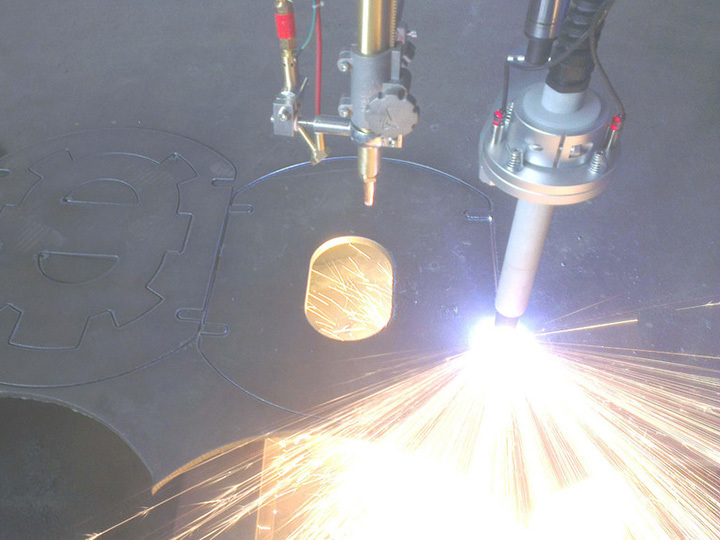 Fully functionalized CNC system and optocoupler device enhance the super anti-jamming capability of the plasma cutting system. 4. World’s top branded components and circuits ensure long service life. 5. Multiple cutting torches can be configured. Both flame and plasma torches are optional to meet the needs of cutting different materials in a range of thickness. 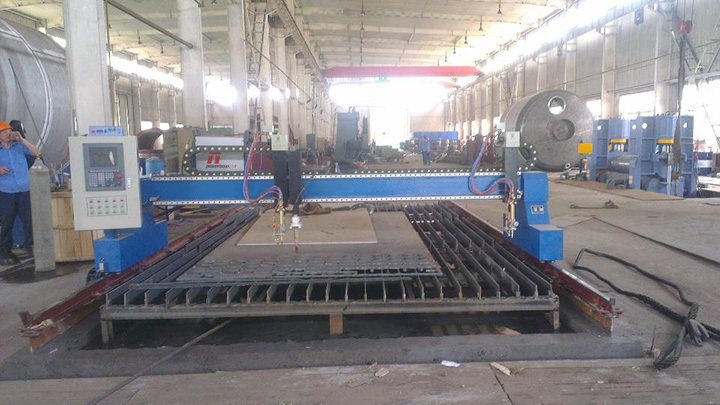 Heavy duty gantry plasma cutting machine with big size can cut mild steel with flame cutting and cut high carbon steel, satinless steel, alunimum, copper and other non-ferrous metal with plasma cutting, it can be configurated as your request, thus it is widely applied in industries such as machinery, automobile, shipbuilding, petro-chemical , war industry ,metallurgy ,aerospace ,boiler and pressure vessel, locomotive etc. 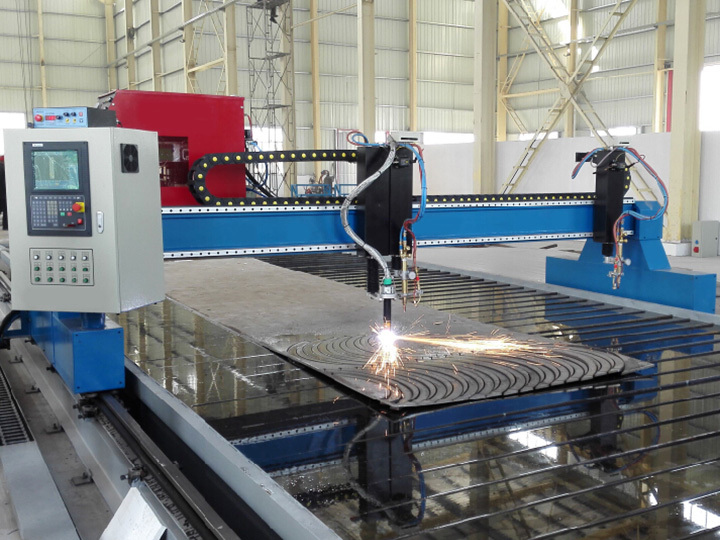 License: The text of "Heavy Duty Gantry Plasma Cutting Machine with Big Size" by STYLECNC is licensed under a Creative Commons Attribution 4.0 International License. 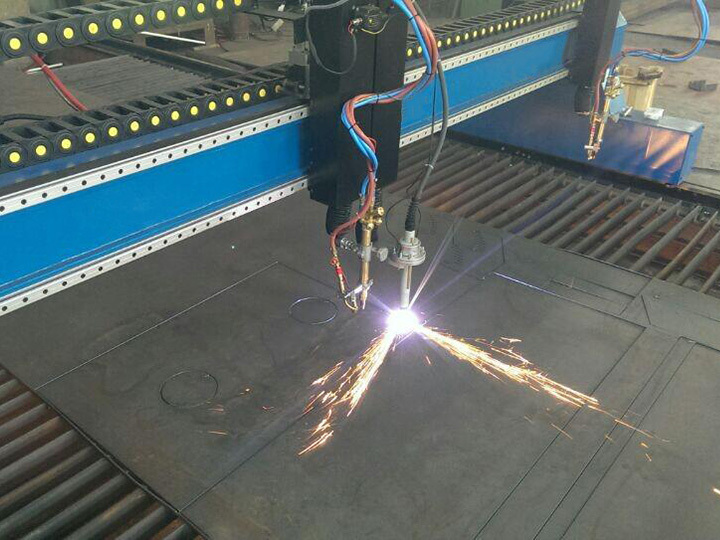 I had a smaller plasma cutting machine before for 2-3 carbon steel, also bought from STYLECNC. 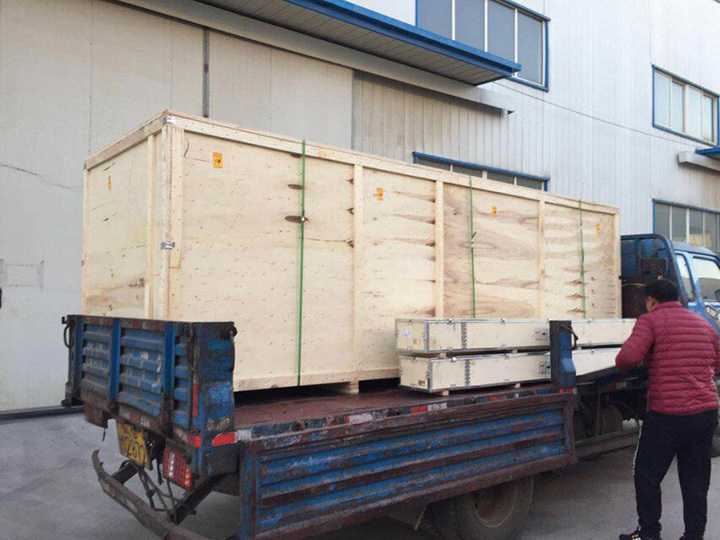 This time for 30mm thick carbon steel, they recommended me the heavy gantry plasma cutting machine. The machine has arrived for 3 months. the workers use it every day, so far it works soooooo good. Sometimes the workers contacted after-sale service for some questions, they also gave the response immediately. I really appreciated it.